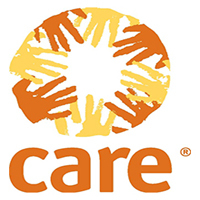 CARE Tanzania is creating a new role, Resource Mobilization and Business Development Coordinator, which will manage resource mobilization efforts ensuring the delivery of an agreed target organizational budget in line with the organizational strategy. As the team progresses towards achieving the in-country Wezesha Strategy (2014-2020), ECSA Regional Impact Growth Strategy and CARE Global 2020 strategy, a measured, innovative, effective and timely approach is needed to business development.This will ensure our programmes are strategically aligned, we increase our impact by budding on existing work, new opportunities are identified, developed and appropriately resourced, strategic partnerships are leveraged, and that CARE retains its position as a thought leader, innovator and multiplier of impact within Tanzania. quality of program design, build capacity on resource mobilization and promote Gender Equality. • Manage resource mobilization efforts and donor (both in country and across the CARE network) care at country level including planning, managing and ensuring the delivery of an agreed target organizational budget. • Build capacity of the CARE-TZ team to mobilize resources, engage with donors, and support proposal development with partners. Reporting to the Country Director, she/he will also work closely with the Knowledge Sharing and Learning Manager to facilitate the documentation of promising practices and lessons learned in programme development, grant management and resource acquisition. management, facilitation, collaboration, decision-making, problem solving and team building. • Knowledge of the development industry, international NGOs and funding trends. sub-agreements, monitoring, evaluation and learning, operations, HR and finance). (development partners, donors, government ministries, CSO/NGO partners and alliances, and the private sector). Decision Making: Negotiation; Managing Excellence; Adaptability and Stress Tolerance. sent by email to TZAHumanResourcesDepartment@care.org by Cob, 9th January 2018 at t 700hrs.